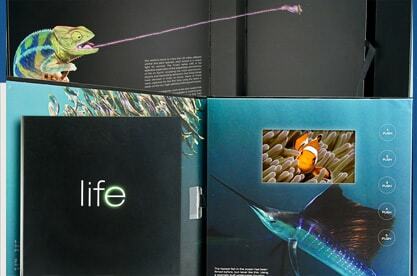 For the launch of its highly anticipated mini-series Life, Discovery Channel wanted to create a media kit that was as amazing as the show itself. Life, an 11 part mini-series narrated by Oprah Winfrey, features various animals in their natural habitat and the challenges they face. The spectacular video images of nature are beaufitully broadcast on Americhip’s 4.3” VIP screen. The VIP player is housed in a beautifully appointed 8” x 8” hard cover book. 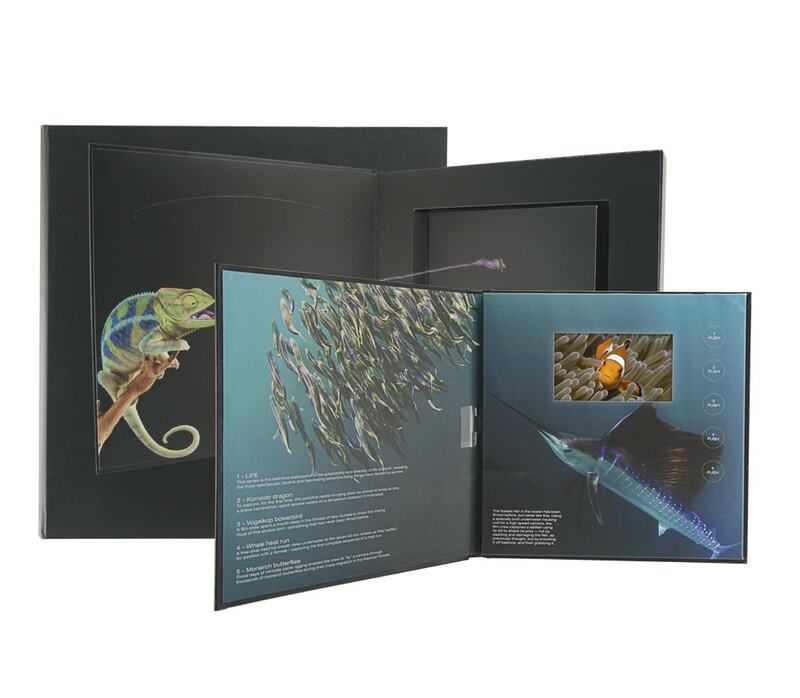 The VIP book was placed into a larger media kit which housed additional information including two DVDs and a pocket for printed materials. @drabtshirt: The press kit that @Discovery sent me is about the coolest thing I’ve ever gotten in the mail.